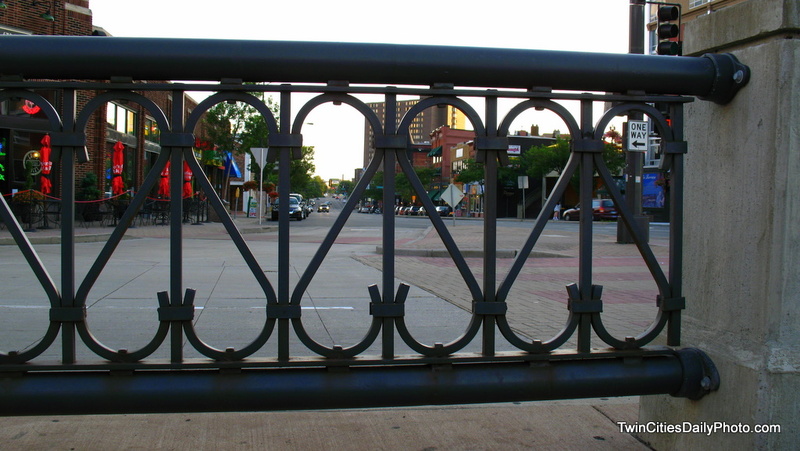 The decorative fencing, which separates the east bound traffic from the west gives a unique view of south bound 7th Street. I took this one while I was stopped for a red light on 7th Street and Wabasha in downtown St Paul. The fencing also doubles as crowd control while people in the Xcel Energy Center leave the building. The fencing forces those walking to their vehicles to cross at the street corners. I like this kind of photos which give us an idea of views and perspectives.